The United States Congress enacted the “Moving Ahead for Progress in the 21st Century” bill or MAP-21 in 2012. Part of the bill required the FMCSA to develop a rule that would require drivers currently using paper log books to switch over to electronic logging device otherwise called an ELD. This rule was published in December 2015 giving operators two years to comply with the ELD mandate. Bringing your fleet into the future with today’s technology. 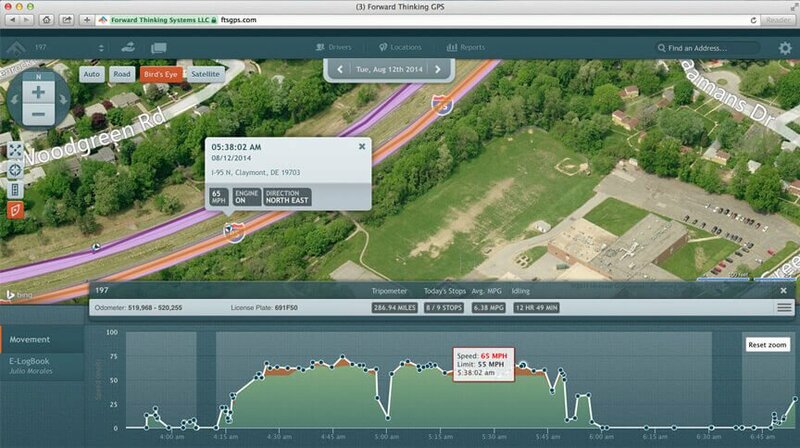 GPS tracking and electronic logging of Hours of Service using technology you may already have. With today’s technology we can give your fleet cutting edge information and control all with the devices you might already own. 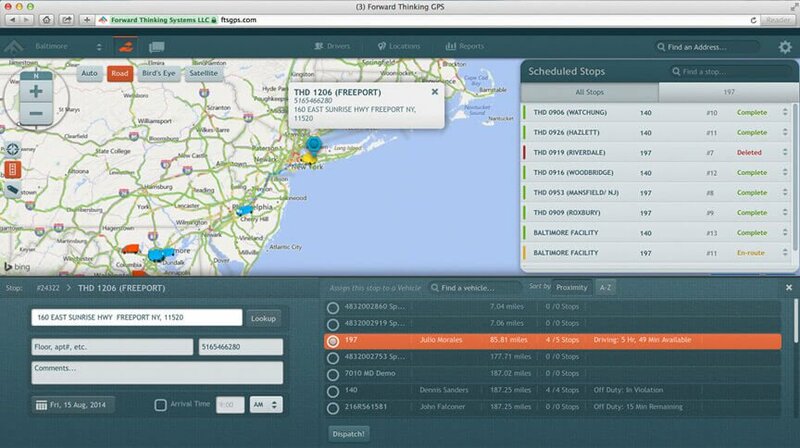 GPS tracking is more than knowing where you’re going it’s about information about your fleet every mile down the road. Our suite of products cover the basic GPS tracking and asset monitoring but we go further with value added services like ELD monitoring. Now that the FMCSA has mandated electronic logging of hours of service even for Canadian drivers now is the time to explore solutions that give you more for less. Whether you are a single owner operator or you have a fleet of vehicles we have a solution for you. Because we are not just a supplier of GPS tracking technology but also experts in safety and compliance within the heavy truck industry you know you can trust we have your safety rating in mind. 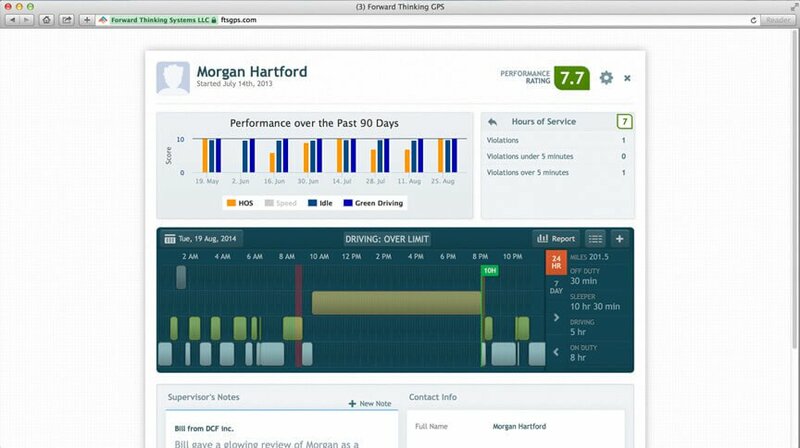 Tools like Driver Profile and Score Cards & Green Driving Summary reports for fleets will help you identify and address aggressive drivers and reward your best. We track items such as speeding, idling, harsh braking, rapid accelerating, and distance travelled, to to create a fair performance score across the fleet. Our speed and idling alerts are invaluable tools that help you save fuel as well as avoid increased insurance and maintenance costs. Selecting the right vehicle is easy because the vehicle selection list includes tons of relevant information about the vehicles’ potential readiness to be dispatched. We show proximity to the destination, scheduled and completed stops, Hours of Service status, remaining driving time, and more, to help you make an informed selection. With real time stop status reports you can follow a driver throughout its day, a stop will go from “Received” to “Viewed by Driver” to “En-route” to “Completed”, and all are updated in real time. This panel is invaluable for customer service. Our GPS tracker automatically updates our server every 30 degree turn, every 3 minutes and every 3 miles your vehicles travel making our breadcrumb trail of your vehicle an information packed resource. Want to know where your vehicle was last week? We can tell you, even years down the road. 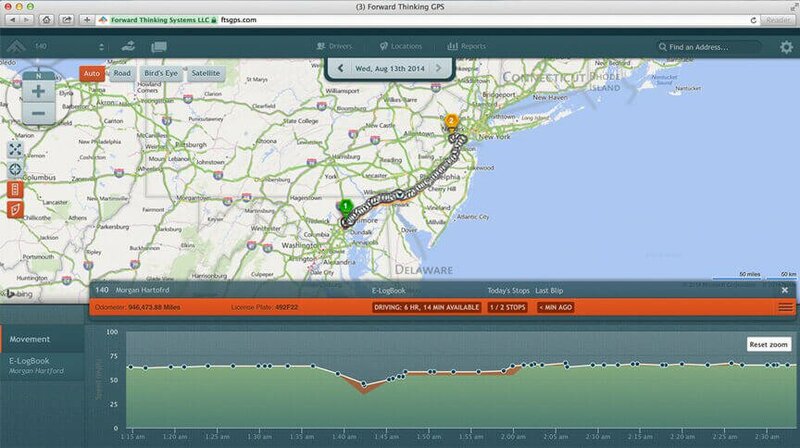 See your daily movement of all your vehicles in an easy to understand graph that is interactive. It tells you where the vehicle was or currently is at a glance. Want to know if your driver was speeding, it shows you when and where. Want to know if your driver is idling excessively, it shows you engine on/off status at a glance. Doesn’t matter if your in Canada or the United States our system has you covered. With the FMCSA mandating all interstate drivers of commercial motor vehicles operating in the United States use electronic logging devices (ELD) by December 17, 2017 now is the time to make the switch to us. Compliance for the federal ELD mandate doesn’t have to be expensive! Our partners at KeepTruckin can help your whole fleet get 100% compliant at the lowest price in the market. Their ELD starts at only $20/month per vehicle. That’s it. No upfront costs, no installation fees, no hidden fees. withstand the wear and tear of life in a truck. Drivers choose their duty status and the device starts calculating automatically. Duty status changes between “On Duty” and “Driving” happen automatically. The past 7/8 days of logs are stores locally for a DOT inspection, and the rest are transmitted to the web portal for easy access by managers. 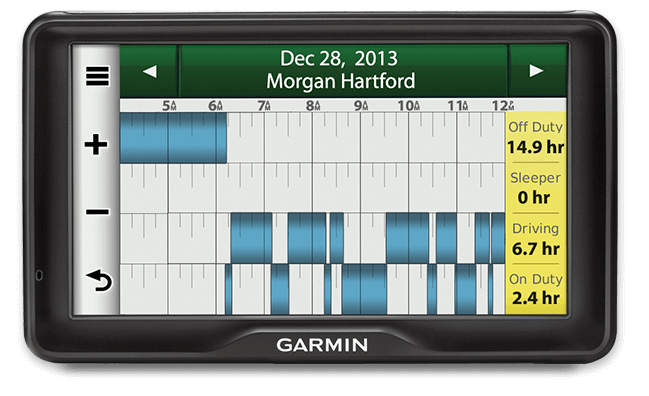 The Garmin remains in constant contact with our service to pass data back and forth, making sure the driver logs are error free. Electronic Driver Logs are easy to use and are practically automatic, the driver just logs in and sets himself to “On Duty” and the app does the rest. It will automatically switch between Driving and On Duty based on movement. The our Android App was designed with 2-click navigation, which means nothing is more than 2 clicks away. It’s easy to use and offers helpful countdown timers to let drivers know when they need to stop driving. 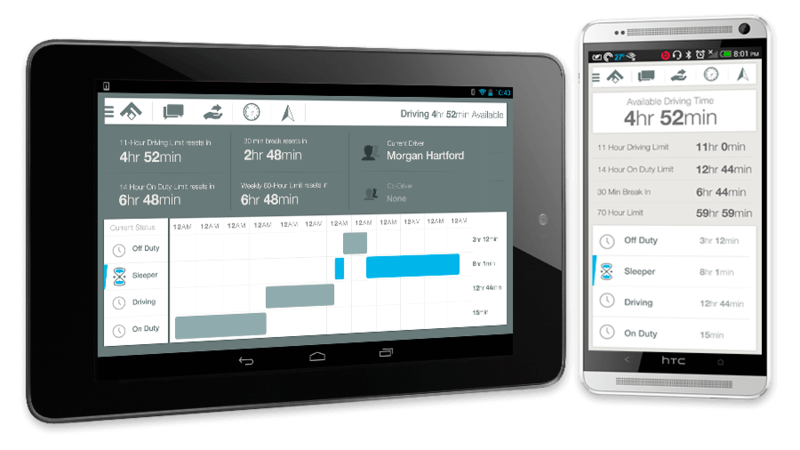 Using this app will revolutionize the way your drivers log driving hours.